Spring break is coming in hot (or cold)! Some of you may be dreaming of pina colada on the beach, or that rush of adrenalin you get as you step on the slopes. But, if you're anything like me, there is a little voice in the back of your head thinking about the daunting task that stands between you and that destination. PACKING. 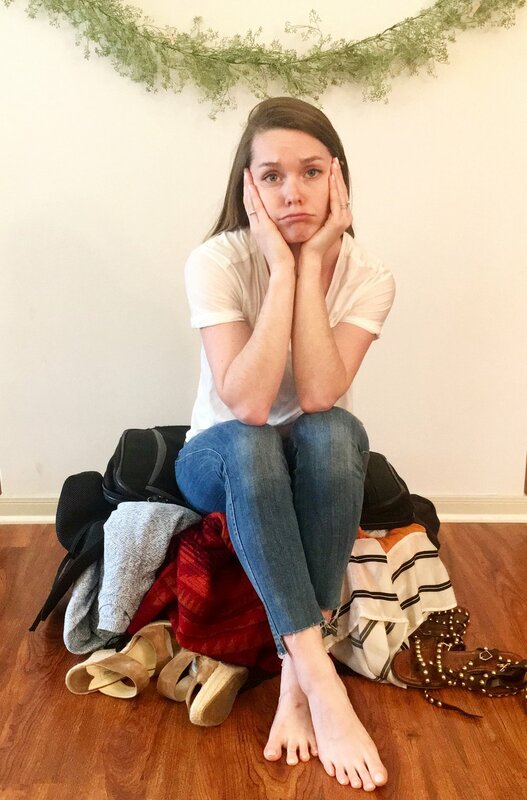 I am here to ease your mind with these few tips to make your packing smooth sailing! Sometimes packing can be OVERWHELMING! So, write it out- get it out on paper and see what you need. Start by, tally up how many days/nights your going to be out. List any special situations that might call for a wardrobe change. And wah-la you have made your packing list! TIP: Check the weather and see if there are going to be any unexpected weather changes during your vacay! After you have figured out what you need now it's time to make your outfits. Lay out each days outfit(s). Don’t forget accessories, shoes, and special undergarments you might need for that backless top ;) By doing this you can see EXACTLY what your bringing, whichhhhh leads you to number 3! Bees do it and so can you! Since you can now SEE everything you want to bring, you can either decide to take it all OR if your cramped for space, you can use a few items multiple times to help save space. Maybe it is only bringing one pair of jeans, or using the same white tank top as your main layering piece. Packing time! This is the real challenge. I have found that when your roll your items not only do you save space but your also minimize wrinkles. YAY! It may take some trial and error but you will get it all in there! TIP: Stuff your shoes with socks or underwear to help keep shape and save space! I am a advocate for always bringing your wardrobe necessities along on your adventure! These include: a pair of jeans, a white top, sneakers and a light jacket. That way, no matter what the occasion, weather or situation you are covered! We hope these tips helped make your packing experience a piece of cake. Now time to sit back, relax and enjoy your Spring Break!